I thought Asians is smart? How true and deep is Oriental wisdom! The notice says "in case monkeys are in the forest" So where were those monkeys supposed to be at when they are not at forest?? No one shall ever see the monkeys. They are ninjas. So how will we know if they are in the forest if we can't find them? It's a job only chuck norris may do! Ninja Monkey i ntha forest!!! 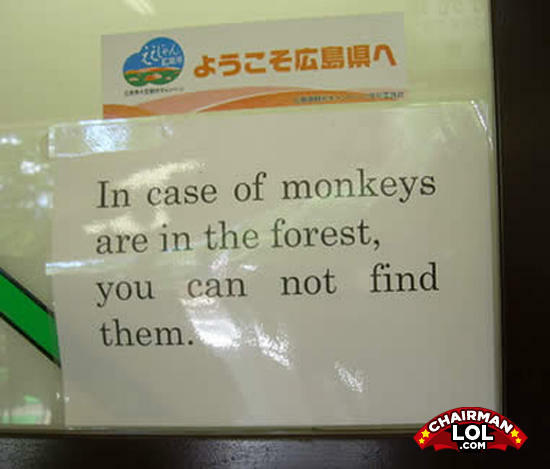 In case monkeys are in the forest and you can not find them, do they make a sound?